Learn some tips and tricks from baking experts and discover new ways to use your flour! Measuring cups and spoons are possibly one of the most vital components of mastering baking. Here are some useful tips and tricks to keep in mind when using your measuring cups and spoons. If you want great baking results; it needs to be made to measure! - Make sure you use dry measuring cups for dry ingredients and liquid measures for wet ones. While the volume is the same, you can’t level off dry ingredients in a liquid measuring cup. -	Make sure to purchase liquid measures that show precise markings. If you have a kitchen scale, you can check for accuracy of your liquid measure. -	Weigh the empty measuring cup. Then add water to the 1-cup mark and weigh again. 1 cup of water should weigh 236.5 grams, although most scales will not give this precise a weight. -	When you are baking, even a tablespoon more or less than your recipe can affect your final product – and if we are talking about the leavening or the salt, just imagine how small variances can change your final product! -	If you are using traditional dry measuring cups, make sure to always fill your measuring cups in the same way. For example, you can spoon the flour into the measuring cup and level the cup with a straight edge OR you can dip the cup into the ingredients and sweep the cup with a straight edge. If you were to weigh the flour from both these techniques, you would likely find different weights. -	Another factor is, does the recipe say “4 cups of sifted flour” or “4 cups of flour, sifted”? These are 2 different quantities. Flour that is measured straight from the packaging is more compacted than flour that has been sifted. Pay close attention to what your recipe reads. Even how long the flour has been sitting in the bag or your flour bin, affects how much flour you end up using in your recipe. If you’re referring to a cookbook, read the forward in the book and see if the author makes recommendations as to which method to use. Who doesn’t love a perfect pie? Pies are rustic comfort foods that make you feel warm and fuzzy from within and take you right back to mom’s cooking. A lot of people find that making the crust is the hardest part of pie making. So let’s simplify the process and make some perfectly delectable piecrusts for your next dinner party. -	When making the dough, the best method is to simply use a food processor. Pulse the flour and salt to combine. Add the butter (ice cold) and cut into 1/2-inch cubesand pulse until it is the size of peas. -	Lift the lid, drizzle the ice water all over the dry ingredients. Pulse 5 or 6 times, just until everything is moistened, but the butter is still visible in lumps and the dough forms moistened crumbs. -	Turn the dough out onto a lightly floured board, gather it with your hands and knead it once or twice, just until it comes together. Pat to flatten into a disc, wrap and chill for 30 minutes. -	When you roll out the dough, lightly flour the board. We suggest to use a baton-style rolling pin (a two-inch-wide dowel with tapered ends). -	Using the rolling pin, pound the pastry firmly to flatten it to about 1/2-inch and soften it just enough to start rolling. -	The dough should still be very chilled but pliable.  Once it gets too soft and flimsy to roll, slip it back in the fridge to firm up. -	ALWAYS use a glass pie plate so you can make absolutely sure that the bottom is browned and fully cooked. From sugar cookies to pies, cupcakes to cheesecakes, the holidays offer us plenty of opportunities to create and enjoy our favorite baked treats. But the pleasure of these delights is often overshadowed by the worry of calories and the health impact these seasonal delights may hold. This article will provide you with some smart and easy ingredient substitutions; so you can have your cakes (or cookies or pies) and not feel as guilty about eating them. Substitute canola oil or margarine made from canola oil for the butter, margarine, oils, or other fat in recipes. You'll decrease the amount of saturated fat, increase good monounsaturated fat, and improve levels of heart-healthy omega-3 fatty acids. Prune puree can get the fat out. Start by replacing half the fat in your recipes with prune puree, sold in stores as prune filling (some people use baby food prunes). You can also make your own puree by combining 226 grams pitted prunes and 6 tbsps. andhot water in a food processor until smooth. Prune puree works well in chocolate cakes, brownies, and spiced muffins/cakes/breads. When you use prune puree, you can also reduce sugar by half the amount of puree used. Replace half or more of the fat in baked goods with unsweetened applesauce. For boxed mixes, you can often replace all of the oil with applesauce. Cooked or canned sweet potatoes and pumpkin stand in well for fat in dense cakes, muffins, scones and bread. Use three-fourths the amount of veggies to replace part or all of fat. Nonfat buttermilk, nonfat yogurt and skim milk work as fat replacements in muffins. Other healthier substitutions: use skim milk or evaporated skim milk instead of cream or whole milk; replace sour cream with plain yogurt; mix the cream cheese and use low-fat ricotta cheese mixed with yogurt instead. For each whole egg in your recipes, use just the whites from two eggs instead. That cuts cholesterol from 213 mg. to zero (daily recommended amount of cholesterol is less than 300 mg). Cut up to one-half the sugar in recipes and replace with sweet-tasting flavorings such as vanilla, cinnamon and nutmeg. When you reduce sugar, be sure to add an extra tablespoon of skim milk or fruit juice to keep the batter moist. When it comes to dessert, there’s nothing like the decadent joy that comes from the rich taste of chocolate. Whether cakes, brownies, cookies, and chocolate-dipped candies — you simply can’t get enough. When baking these treats at home, there are a few helpful tips to keep in mind when working with chocolate that will give you a better and more delicious dessert. 1. A long serrated knife is the easiest way to chop chocolate. For big chunks and heavy bars of chocolate, a serrated knife is the easiest and fastest way to cut it down to size. 2. Boost the chocolate flavor of your dessert with espresso. Enhance the chocolate flavor of your recipe by adding a shot of espresso or a couple spoonfuls of extra-dark coffee along with the liquid ingredients, or even espresso powder. It will really enhance the chocolate flavor without adding a strong coffee taste. 3. For melted chocolate, skip the chips and go for the real deal. Unless a recipe specifically calls for chocolate chips, keep them in the pantry and use real chocolate instead — especially when melting chocolate. Chips were formatted to be able to hold their shape, so there are better choices when a recipe calls for melted chocolate. 4. Use a water bath for a failsafe way to melt chocolate. There are more than a few ways to melt chocolate, but your best bet is using a water bath. Not only can you see what's happening, but you have more control over the process and are less likely to burn your chocolate than if you were using a double boiler or the microwave. 5. Melt when mixing chocolate into a recipe; temper when making a candy coating. Melting and tempering chocolate are two different processes, and they manipulate the chocolate in different ways. Stick with melting when adding the chocolate into a recipe, but temper it when it's being used as a coating for cookies and candies. -	Muffins will brown best if metal muffin pans are used for baking them. Fill the muffin pan cups 2/3 full with batter. They will rise above the pan surface. Tip: Tins should be greased rather heavily on the bottom for easy removal of muffins. Greasing the sides very lightly, or not at all, allows the batter to cling to the tins in rising, thus increasing volume. Tip: To keep muffins from burning around the edges, leave one muffin cup empty; fill 2/3 with cold water before baking. -	Combine dry and liquid ingredients separately. -	The egg should be beaten enough to combine well with the liquid, then all liquids mixed thoroughly together. -	Cool melted shortening before it is added. Under blending of liquid ingredients produces a muffin with thicker cell walls and a less tender texture. -	The liquid mixture is stirred with the combined dry ingredients only until the flour is moistened. It is essential to keep mixing to a minimum, no more than 25 to 30 strokes. -	Tip: For high altitudes, reduce baking powder or soda in the recipe by ¼ teaspoon. -	Tip: If using a self-rising flour, omit baking powder and salt. -	Tip: Use an ice cream scoop to fill the cups in the muffin pan. This will measure your batter equally for each muffin. -	Preheat the oven before starting to mix the ingredients. Muffins are usually baked on a high setting of 425°F for about 20 to 25 minutes. -	Check the recipe or package directions for proper setting. -	Tip: When baking time is up, insert a toothpick into the center of the muffin. If the toothpick comes out clean, they are done. If not, continue baking in 2 to 3 minute increments, checking each time with the toothpick until it comes out clean. -	Tip: When muffins are done, remove them at once from the muffin tins so they don’t steam and soften. If they must stand in muffin tins, tip each one slightly in its cup so steam can evaporate. -	Leftovers may be stored at room temperature, in a resealable plastic bag or an airtight container to retain moisture. -	Reheat and use within a day or so. -	Nut and fruit muffins are at their best if made the day before using. They should be cooled completely, wrapped tightly, and kept at room temperature. -	To freeze muffins, wrap in foil, heavy-duty plastic wrap or freezer-wrap and press all the air from package; freeze for up to 3 months. -	To thaw, let stand, wrapped, at room temperature for about 1½ hours. It helps if you are baking a recipe for the first time to thoroughly read through the recipe so that you understand all the steps, and have all of your tools, pans and ingredients lined up. Otherwise, you may end up halfway through your recipe, only to realize that you have to run next door for your missing ingredient! Your desserts will only be as tasteful as the ingredients that go into making them. Using only Grand Mills flour (of course!) and the freshest ingredients for dairy, such as eggs, butter or milk, as well as fresh fruits and spices, will give you the best results.